With hundreds of different Ingersoll Rand air tools and cordless tools to choose from, we are confident we have the right tool for you. With more than 100 years of tool building heritage and engineering expertise, our Ingersoll Rand cordless tools and air tools deliver rugged reliable power, perfect for maintenance and automotive work. 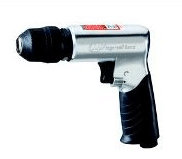 Our Ingersoll Rand air tools offer each user a great power-to-weight ratio in a compact package. These industrial air tools are driven by compressed air supplied from a nearby air compressor. By using compressed air as their power source, this allows for a high power-to-weight ratio: which means a smaller tool can be used where a large one was previously needed. With compactness comes a higher degree of safety as well as improved precision for the user. 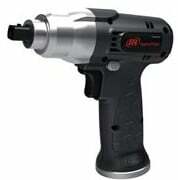 In addition to compressed air driven Ingersoll Rand air tools we also supply a range of portable Ingersoll Rand cordless tools designed to deliver world class Power and Durability with a commitment to increasing your productivity. Simply contact us for all your air operated and cordless tools and we will make sure you get the right Ingersoll Rand industrial tool for the job. If you’re just curious or searching for a specific product in mind contact us. We’ll get back to you with all the information needed to make a decision.